The Polio fountain, as well as the other fountains of Ephesus city, was provided with water from Cayster river, Kencherios (Kusadasi) and from a stream of Marnas. The Fountain of Polio was located opposite the Dominitian Temple. 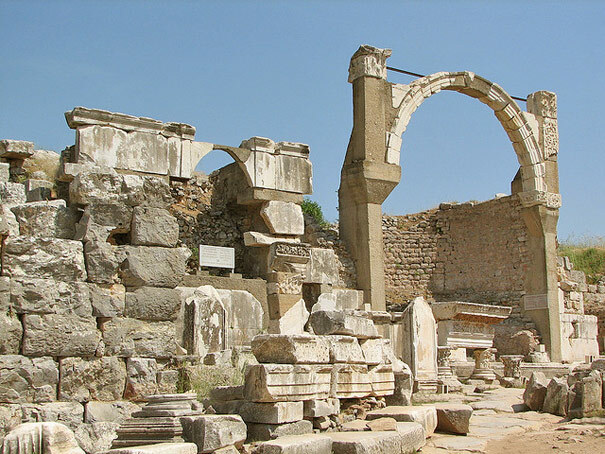 There was an arched façade and it was decorated with statues that can be seen in the Museum of Ephesus nowadays.